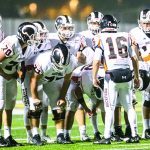 After squaring off with the number two ranked team in Illinois (Loyola Academy), traditional local power (Lowell) and sudden thorn in their side (West Ottawa) it almost seems as if the Rockford schedule owes the Rams a temporary respite. But that is the antithesis of what awaits Rockford this Friday, September 14th at 7:00 P.M. at home. The undefeated Sailors of Muskegon Mona Shores roll into town sporting a 3-0 record while outscoring their opposition 132-73 thus far. Mona beat East Kentwood 48-38 in their opener, blanked Bay City Central 35-0 in game two and sprinted past Muskegon Reeths Puffer 49-35 last week. 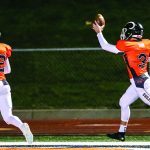 Rockford will enter the fray with a record of 1-2 after falling to Loyola 27-7, white washing Lowell 36-0 and falling to West Ottawa 45-40 in heart-rending fashion last week. The Rams hold the lead historically 16-6, but the last four years have featured a pair of wins for both squads with the home team winning every time. 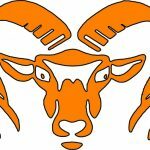 Rockford won 10-7 in 2014 as they handed the Sailors their only loss of that regular season on their way to the state title game and 37-23 in 2016. Mona Shores was victorious 31-10 in 2015 and 30-24 after rallying late to claim an OT win over Rockford in 2017. 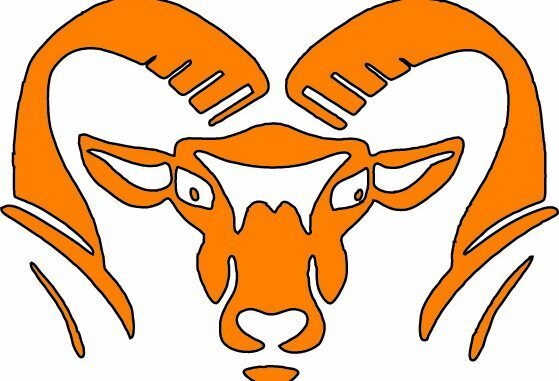 With two losses already, the margin of error has narrowed considerably for Rockford as they look to extend their consecutive season streak of Michigan High School Athletic Association playoff appearances to 24 years.